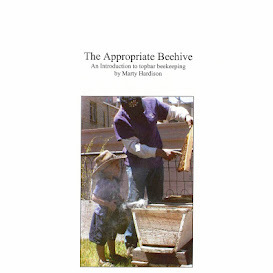 The following was posted by Don Studinski, author of Beekeeping Mentor In A Book, in his Yahoo! Group, Beekeeping Students. I'm seeing white Pear trees bloom all over Fort Collins. I've been seeing forsythias for a few days now. Of course, the elm and maple are almost done now. Your bees are bringing in pollen and nectar already. They are raising brood! If you see front door activity, there should be pollen involved in some of them. If not, it may be robbers that do not live there. Check your bees. I'm out checking today for drone brood in anticipation of swarm prevention. I heard there were 4 swarms in Denver yesterday! Spring has sprung! I looked in my hives on Saturday - one doing well, the other not so, but still alive with plenty of stores. In the good hive, no drone brood yet which surprised me, but I'm sure if I check again next week, I'll find some. Can't split until we have some drones! Let the season begin! So exciting, @Don! I can't wait to read about it on your blog.